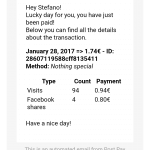 Custom Email Notifications is an addon for Post Pay Counter that allows you to customize payment notifications emails sent by Post Pay Counter PRO. 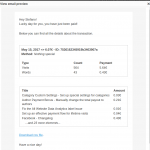 No more plain-text payment emails: make a connection with your writers and let them know you care for them with properly designed notifications. 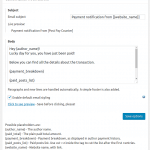 The addon allows you to customize both the email subject and the email body, providing some handy shortcodes to include details about the transaction, such as the paid total and the payment breakdown (both short and detailed). While setting it up, you may obtain a live-preview of both the email subject and the body, so that you will exactly know how your notifications will look like. 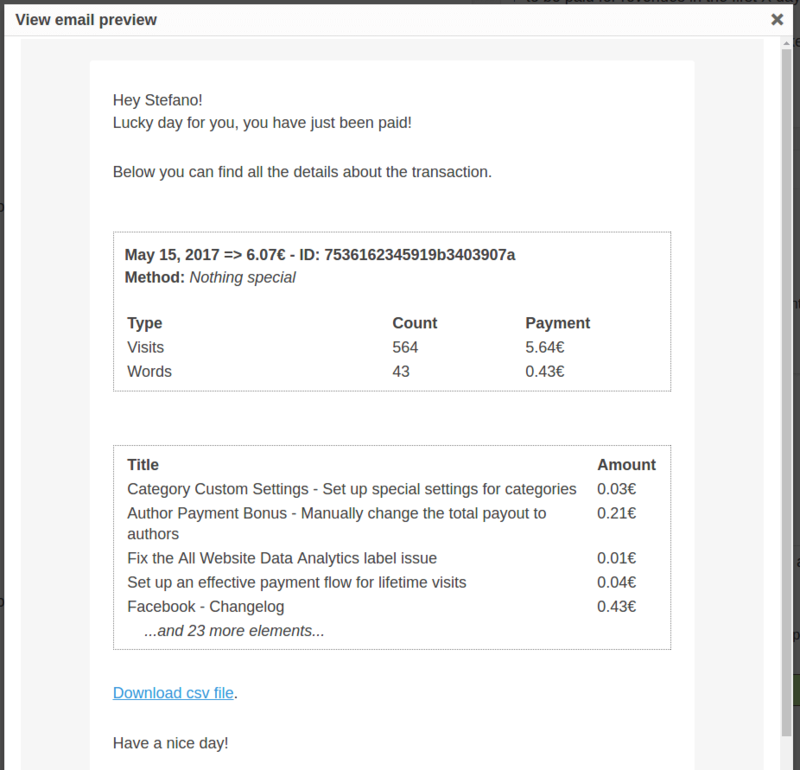 Moreover, Custom Email Notifications comes with a default HTML template. It is simple, but nice, to make the communication look professional. 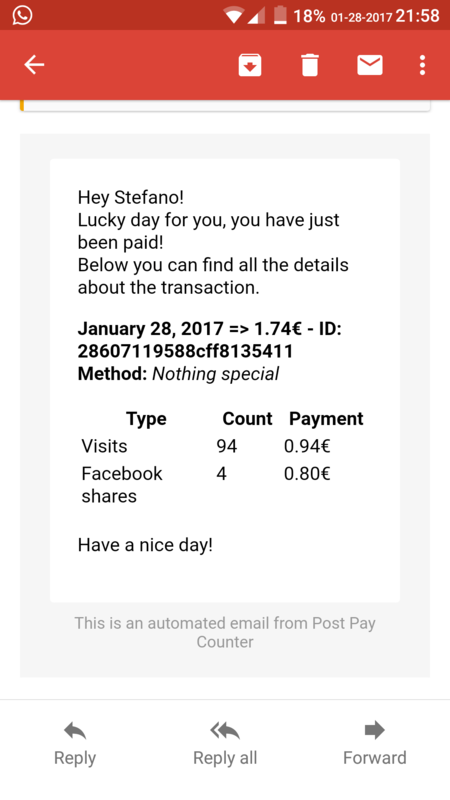 The default template is a responsive one: the emails will be displayed appropriately on all devices (even mobile phones)! Of course, it can also be disabled if you want to style your emails your own way from scratch. First of all, make sure you have the latest release of Post Pay Counter and Post Pay Counter PRO installed and active. 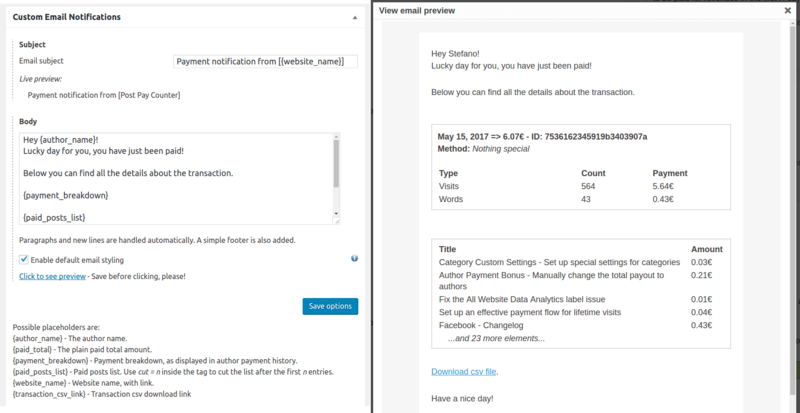 As soon as you purchase the addon, you will get an email with the download link and your license key: download the plugin through that link, extract the zip and upload its content (the whole ppc-custom-email-notifications folder) to your WordPress wp-content/plugins folder. 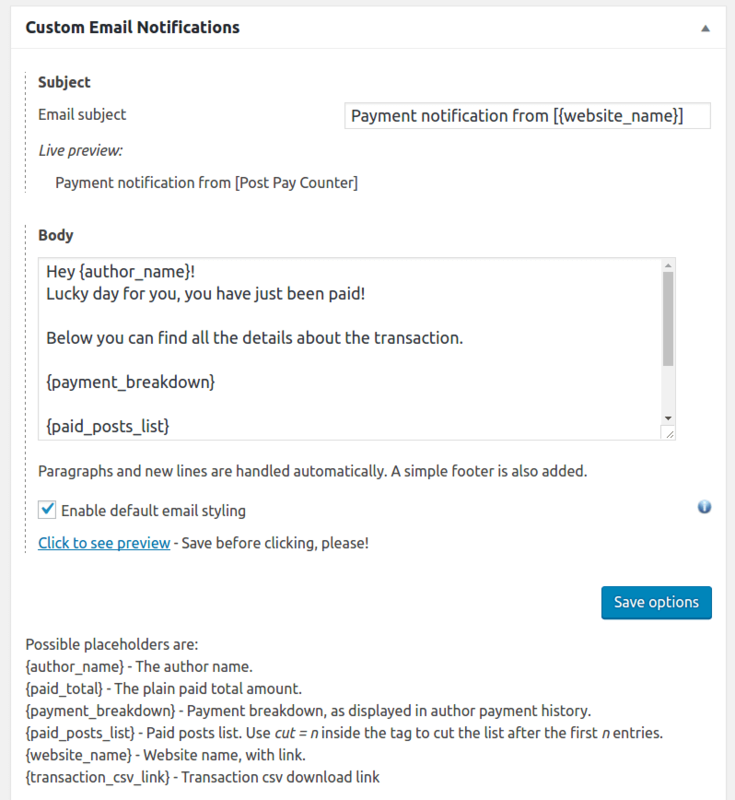 Now head over to your website plugins list page, look for Post Pay Counter – Custom Email Notifications and activate it. Finally, go to Post Pay Counter > Options > License status, paste your license key in the apt field and hit Submit. You’re done: your license has been activated and you can now enjoy all the new features.